Physical security refers to the quality of children’s natural and constructed environments, and our attempts to protect them from threats to their personal safety and well-being, such as environmental hazards, crime, and unintentional injuries. Children are at particular risk from environmental hazards because their systems are still developing, they spend more time outside, and they breathe more rapidly and deeply. They are exposed to higher levels of pollutants than previous generations, and studies indicate that damage from air pollution may begin as early as in the womb. Cultural Security is what we want to provide those students in our classes with who are the "odd ones out"; or the minority. 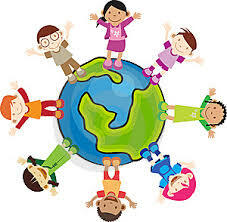 Cultural security means teaching all students that differences are wonderful and being unique is special rather than something to be bullied for. As teachers, it is our responsibility to ensure that all our students are comfortable with and free to discuss their traditions, beliefs and cultures in the classroom without feeling intimidated or scared that they will be teased for doing so. As part of the Alberta curriculum, we are required to integrate First Nations, Metis and Inuit culture into our lessons and to find ways to welcome FNMI children into our classrooms in the same manner that we do all other children. Click here to access "Walking Together", a wonderful resource for all Alberta teachers to learn about FNMI integration in the classroom. See any link below for other helpful resources. Bullying is a learned behaviour. It is when a person or group tries to hurt or control another person in a harmful way. There are three aspects of this hurtful behaviour that almost all experts agree on; in bullying there is a difference in power between those being hurt and those doing the hurting, bullying involves hurtful behaviours that are repeated and intentional. Bullying is not about a conflict that needs resolving. In bullying, the power is all in one person or a group's control. People who bully others show loathing and contempt for those they are trying to hurt. There are lots of different kinds of bullying, and they all hurt. Sometimes bullying means hitting, kicking, pushing, shoving, or making someone do something they don’t want to do. Sometimes bullying is using mean words or threats, calling someone names, or saying bad things behind their back. Bullying can even mean making someone feel unsafe or scared, leaving them out of games, or making them feel that they’re not important. 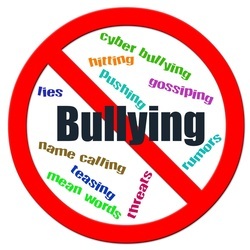 Bullying can be verbal, physical, social (shunning, ignoring or leaving someone out on purpose), and also involve cyberbullying (being bullied through the information and communication technologies. People who bully think that it makes them important, but it really just makes them mean. Bullying should NOT be considered a "Normal part of life"
What Can be Done About Bullying? Bullying is a behaviour, it is something people learn. People bully because it makes them feel superior to others. They might get power and strength from bullying others. People bully to get attention. They think that it makes them popular, or that bullying may be a way to fit in. Bullying doesn't make someone popular or cool, it just makes them mean. People who bully are often scared about something about themselves, so they try to scare others to hide their feelings or pick on others so they won't get picked on first. People who bully are unhappy and they take out their unhappiness on others. People who bully feel little or no responsibility for their actions, and often feel the need to control others and may always feel the need to win. People who bully may be jealous of the people they are bullying. People who bully are unable to understand and appreciate the feelings of others. People who bully always choose the one person they know they can win against (basically bullies are chickens). People who bully are excellent observers of human behaviour. Even though people who bully cause a great deal of pain for others, they need help too. If they do not learn how to change their behaviours, they usually end up in trouble with the law. By age 24, 60 percent of people who were childhood bullies have at least one criminal conviction. People who continue to bully have many other problems as adults who show more alcoholism, antisocial personality disorders and need for mental health services. Some people who bully may not even understand how wrong their behaviour is and how it makes the person being bullied feel. The best defense against a people who bully is to LIKE YOURSELF, be CONFIDENT in YOURSELF, and DONT LOOK LIKE A VICTIM. You should never try to beat people who bully at their own game. You can't bully someone who bullies into not being a bully. If you need help, tell an adult you know and trust. It is hard to solve such problems on your own. For Students: What can you do if someone is bullying you? Learn about what bullying is and then share this with others, like your parents, friends, teachers, sport coaches and others. Teach them that people should not just accept bullying. You need to know that you are not alone in being bullied. Being bullied is embarrassing, scary and hurtful. You need to know that being bullied is not your fault. Bullies might tell you mean things about yourself, but don't believe them. Bullies will say what ever they can to try and have power over you. Don't keep it to yourself: tell an adult. If you are being bullied, it's very important to tell an adult. It's really hard to stop bullying by yourself. Parents, teachers, principals, sport coaches, etc. Telling is not tattling. Telling we do to help make things safer and better. Tattling is what people do when they want to get someone else in trouble on purpose. Be brave: sometimes just acting brave is enough to stop a bully. If you act as though you're not afraid, it may be enough for a people who bully to leave you alone. Stay calm and don't act upset or angry: bullies love to get a reaction. Practice what you'll do and say the next time it happens. If you don't act upset or react the way they want you to, they may get bored and stop. Ignore the people who bully. Try to ignore a bully's threats. If you can walk away, it takes a bullies power away because they want you to feel bad about yourself. Don't react. Don't let the people who bully win! 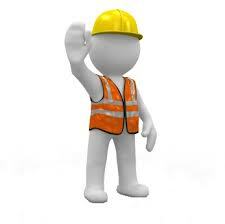 If ignoring them won't work, tell the people who are bullying to stop, say "Cut it out! ", "That's not funny! ", "How'd you like it if someone did that to you?" 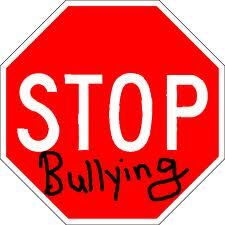 Let the people who bully know that what he or she is doing is stupid and mean. Stand up, don't stand by: kids can stand up for each other by telling a people who bully to stop teasing or hurting someone else. You shouldn't try and fight the people who bully . This almost always makes things worse. Walk up to the person being bullied, talk with them and then walk away together. Refuse to join in and don't just sit back and watch. The bully wants an audience. You give bullies power when you watch. If you aren't part of the solution, you are part of the problem. Be a friend Kids who are being bullied can sure use a friend. Walk with a friend or two on the way to school or recess or lunch or wherever you think you might meet the bully. Offer to do the same for someone else who's having trouble with a bully. Look out for kids who are new to school, or those kids who always seem to be alone. Don't fight back First of all it's a dangerous thing to. Secondly, it usually makes things worse for everyone. Besides, you can't bully a bully into changing the way they are acting. Stay with others, stay safe, and get help from an adult. Sit or walk near an adult or friend Sit near the bus driver. Walk with a teacher or friend during recess or lunchtime. For more information about bullying and what you can do as a teacher or parent, visit http://www.bullying.org/htm/main.cfm?content=1084 and/or http://education.alberta.ca/teachers/safeschools/bullying-prevention.aspx.